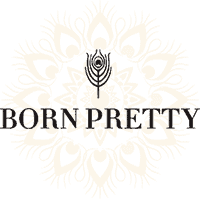 With full passion for beauty, Ms. Jessica created BORN PRETTY in 2009. She believes fate is about changes, the more diligent, the luckier you will be; meanwhile, the luckier, the more beautiful! ‘Beauty and passion’ are always our firm faith with our company’s growth for 10 years. It’s our mission to redefine beauty by creating amazing products for beauties from all over the world.